Why do Greenwood residents have two government cameras constantly staring down upon them at the recycle bin? The original reason given years ago was that too many malfeasants were simply abandoning unwanted items there and the placement of the cameras would greatly assist the stoppage of such actions. Now, half a decade later, there is much evidence to suggest this is not working. 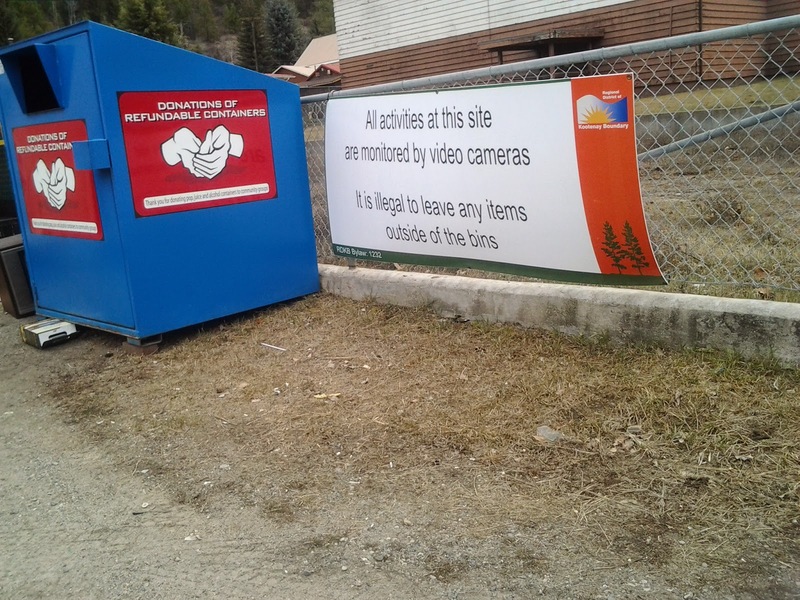 So again the question: Why do Greenwood residents have two government cameras constantly staring down upon them at the recycle bin? If the two cameras are not doing their intended job, why are they still there? Ignoring the facts that continual government surveillance is demeaning, an assault on liberty and dignity, and furthers the general government drive towards complete submissiveness, their very existence opens up numerous other instant questions such as: are they even working, what did the cameras cost, are they also available to the police, is the church receiving money to host the cameras? The last question opens up a possible interesting area of interest as well. Since the church has never paid taxes, even though it has substantial land holdings, it would be ironic if the government pays the church money. However, since we don’t have definitive answers to these questions and they may need correction, they are now traveling to the Regional District for a response. The driving force for the inquiry largely comes from the experience of two very crippled men in town with severe mobility challenges. They tend not to go out in public much, not wanting to be the object of the stares of looky-loos and gawkers. 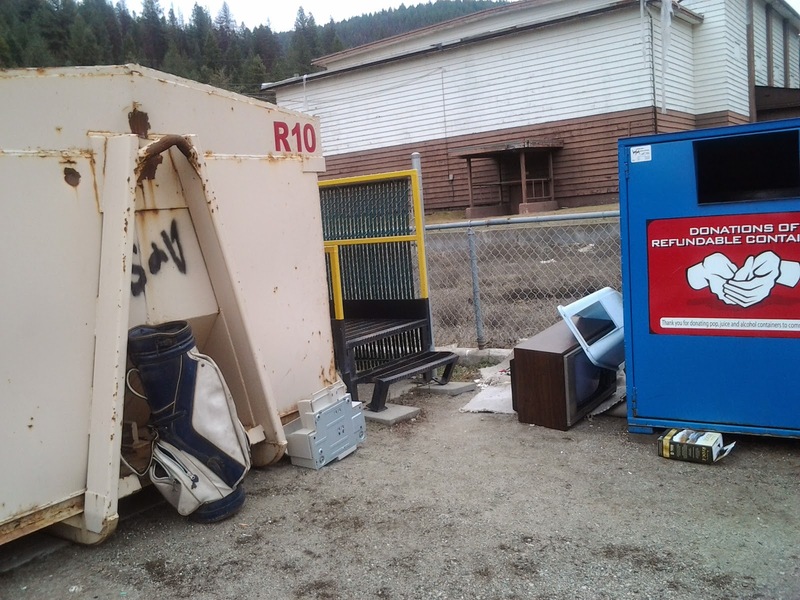 They go the recycle-bin in off-hours when there is no one around to observe them. They manage climbing the stairs up to the bin and the handling of the recyclables, but it is done with much difficulty and awkwardness, sometimes with drilling pain. There is, however, a deep satisfaction in accomplishing the task alone and independently, no matter how distressed it might appear. But then there are those government cameras constantly monitoring them, watching every move.